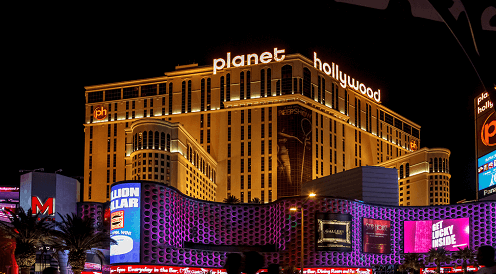 To mark their ten-year celebration Planet Hollywood Resort and Casino underwent a $100 million renovation. The resort and casino is situated at the very centre of the Las Vegas strip. Planet Hollywood made history as the first resort and casino in Caesars Entertainment Las Vegas group to have all hotel rooms renovated completely. The renovation isn’t the only move to mark to their celebration, celebrity chef Gordon Ramsay’s restaurant Burger served up special 10-year anniversary burgers. Planet Hollywood is regarded as the place to play for celebrities; it’s a no wonder that it would be the venue to host the Miss Universe 2017 pageant too. The Miss Universe pageant was held at Planet Hollywood’s The Axis in Las Vegas on Sunday 26th November. Steve Harvey returned as host despite his blunder at 2015’s event when he announced the incorrect winner. Plus size model of the moment, Ashley Graham was another celebrity presenter along with Fergie. South Africa’s Demi-Leigh Nel-Peters was crowned Miss Universe 2017. She is the second South African to win the title. The first South African to win was Margaret Gardiner in 1978. Nel-Peters was crowned by last year’s winner – Iris Mittenaere. Runners-up were Colombia’s Laura Gonzalez as the first princess and Jamaica’s Davina Bennett; as the second princess. Nel-Peters was born in Cape Town, South Africa and is business management graduate. The 22-year old beat out the best of the best in South Africa and now, the world! But her glory hasn’t come without scandal, despite the bookmaker’s odds. The odds were in favour of Nel-Peters winning the Miss Universe title from the get-go. Nel-Peters, who is also the current Miss South Africa was the centre of many scandals concerning favouritism during the pageant. After the pageant concluded several contestants came forward with accusations, saying that Nel-Peters had the upper hand thanks to her coach Werner Wessels. Wessels was the coach to several Miss South Africa winners and is also on the judge’s panel. The other contestant also said that Nel-Peters knew she was going to win and none of them stood a chance against her.